This is a new guest post from Johan Thyberg, a retired professor for cell and molecular biology from Sweden, a known activist against science fraud and author of the 2009 book “Scientific Fraud or Legal Scandal?”. Thyberg played a key role in uncovering the research misconduct and horrendous patient abuse around the trachea transplant surgeon Paolo Macchiarini, which took place at Alma Mater, the Karolinska Institutet (KI) in Stockholm, and left at KI alone 3 patients dead (his last plastic trachea recipient there, Yesim Cetir, died yesterday after years of suffering). After a previous guest post by Thyberg, which criticised KI’s handling of the Macchiarini scandal, it is an honour for me to present his new article on my site. It deals with another international star of regenerative medicine whom KI recruited soon after Macchiarini: Kenneth Chien. The people who recruited Chien were also the same who made Macchiarini’s professorship at KI possible: the then-chancellor Harriet Wallberg and the cell biology professor Urban Lendahl. Both had to resign from their positions with the KI’s Nobel Committee in the wake of Macchiarini scandal (see my report here). “The central scientific interest of the Chien lab is to understand heart development at the molecular and cellular level, with the ultimate goal of applying the developmental principles, logic, pathways, technology, and model systems to unravel human heart disease”. According to Thyberg, Chien’s engagement at KI is less about his actual scientific achievements, which seem objectively rather modest relative to his elite status there, but more about personal networks and money, which include pharma industry and a certain Chinese investor. One of these Chien-related businesses is Moderna Therapeutics, a biotech start-up which STAT News brought a critical special report on. Below I am publishing Thyberg’s own English version article, a Swedish version appeared on March 17th on NewsVoice. In December 2010, the surgeon Paolo Macchiarini started his appointment as a visiting professor of Regenerative Surgery at Karolinska Institutet (KI) and at the same time attending consultant at the Ear, Nose and Throat Clinic at the Karolinska University Hospital (KUH). The one who had initiated the recruitment was KI’s President Harriet Wallberg. What then happened is well known around the world through a variety of articles as well as several television documentaries. 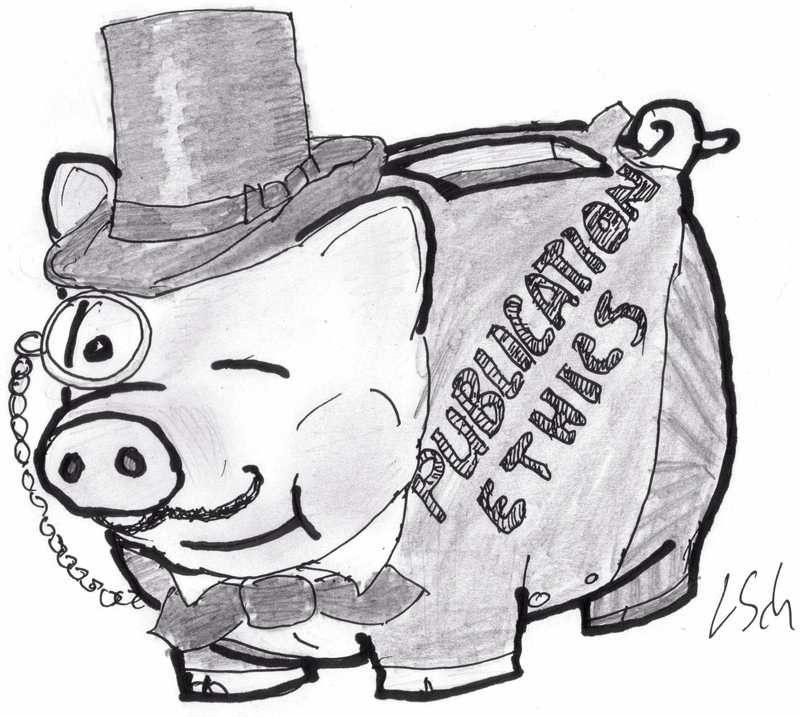 Multiple investigations of research misconduct have been started and the largest of them, related to the transplantation of artificial tracheae, is now in its third year. In parallel, a preliminary police investigation is in progress with suspicion of two cases of aggravated manslaughter and one case of aggravated assault. Two inquiries, one led by Sten Heckscher and one led by Kjell Asplund, have reviewed the roles of KI and KUH in the scandal [see my articles here and here, -LS]. In both cases, sharp criticism was directed at the lack of administrative procedures, failure to comply with applicable laws and regulations, and poor leadership. Was all this a one-time event, or should it be seen as a symptom of a systemic degradation? I would argue that the latter applies, and will exemplify this with another case related to KI’s efforts in regenerative medicine and stem cell research, a hot topic worldwide in biomedical research. In January 2013, Kenneth Chien (Figure 1) took office as professor of Cardiovascular Research at KI (100%) associated with the post as Director of the Center for Cardiology at KUH (30%). This was two years after Paolo Macchiarini came to KI and, as in his case, a direct recruitment (without competition). From E-mail correspondence between Chien and KI’s leadership it is also clear that they wanted a partnership between him and Macchiarini. The news was trumpeted already in November 2012 in a press release entitled “KI recruits top researcher from Harvard” and was reproduced with great headlines in the media. Like in the case of Macchiarini (ref K1537-2010) those responsible for the recruitment of Chien (ref K2747-2012) were KI’s President Harriet Wallberg and KUH’s hospital director Birgir Jakobsson. Was this the success story that KI tried to get it to look like? Had Harvard really been deprived of a top researcher they did not want to lose? No, according to an internal source Chien was rather forced away from Harvard because of economic mismanagement as well as ethical and compatibility problems. So why was KI so interested? Most indications are that it was a matter of personal contacts and cronyism. At the time in question, Chien had in his group at Harvard a Swedish postdoc who was a former graduate student of Professor Urban Lendahl at KI, also known as the Nobel Secretary who resigned because of his role in the Macchiarini affair. The postdoc in question is also son of another prominent KI professor and top figure in the Nobel sphere. His research field is related to Chien’s and they are previously acquainted. The aforementioned postdoc can hardly have been unaware of the problems his boss had at Harvard and it is likely that he informed both Urban Lendahl and his father thereof. By coincidence, it was KI who stretched out a saving hand in this situation. And one of the driving forces in the recruitment of Kenneth Chien was precisely Urban Lendahl. This is clear from E-mail correspondence from 2012 between Kenneth Chien on one side and President Harriet Wallberg, Deputy President Jan Andersson and Urban Lendahl on the other side (Figure 2 [Emails available here, -LS]). Chien and Lendahl also came to become partners at KI with huge common funding. As we will see later, the Swedish postdoc of Chien did not come away empty-handed either. The result of the mentioned negotiations was that Harriet Wallberg on November 5, 2012 wrote to Kenneth Chien and offered him a professorship in Cardiovascular Research at KI from January 1, 2013 (ref 6978/12-221). And it was certainly not an offer of the ordinary kind: (i) 2 million SEK (about 220,000 USD) per year as a starting wage; (ii) 37.5 million SEK (about 4.2 million USD) in funding for the first five years; (iii) support with applications to the Wallenberg Foundation and other donors to provide additional funding. This is what stands in the November letter. In reality, it was to become much more (Table 1). As mentioned above, KI received help from KUH to pay Chien. In December 2012 President Harriet Wallberg and Hospital Director Birgir Jakobsson signed an agreement on setting up an appointment as Professor at KI associated with the post as Director for the Center of Cardiology at KUH in Stockholm County Council (ref K2747-2012). Further on in the agreement it is stated that the clinical activities should comprise 30% of working time and be paid with 75,000 SEK per month (equivalent to 250,000 SEK or about 28,000 USD per month for full-time). Since few physicians at KUH seemed to know about the Center for Cardiology, this assignment appeared spurious and in August 2015 I wrote to KUH and asked which the duties were of Chien at the Center of Cardiology. The response from Fredrik Gadler, Head of the Department of Cardiology, was that “the work is not defined in terms of time and consists of leading a research group in cardiogenetics“. This means that the taxpayers in Stockholm County Council pay 75,000 SEK per month (900,000 SEK or 100,000 USD per year) to Chien for leading his research group at KI, a completely different authority. So to summarize what has been said above, Harriet Wallberg decides on November 16, 2012 that Kenneth Chien is hired as Professor of Cardiovascular Research at the Department of Cell and Molecular Biology (40% – where Urban Lendahl works) and at the Department of Medicine in Huddinge (60% – where Jan Andersson works) from 1 January 2013. At the same time, he is commissioned at KUH with a working time of 30%. According to his first report of side-line jobs, Chien also has a number of other assignments, among others for the pharmaceutical companies Moderna Therapeutics, Takeda Pharmaceuticals and AstraZeneca. These activities are said to take 50 days per year, which with a normal working schedule of 224-229 days per year would be about 22%. This is consistent with the agreement Chien in November 2013 signed with AstraZeneca [available here, LS], where it is said that the services he will perform for the company will amount to approximately 20% of his working hours. If you look a little closer at Kenneth Chien’s business interests and put them in relation to his employment at KI, the picture becomes even more complex. In 2010, he co-founded Moderna Therapeutics in the US. The company’s business is largely based on Chien’s and others’ research on modified RNA and its ability to control the protein synthesis and function of cells. AstraZeneca is the largest investor in the company and has contributed about 300-400 million USD. Chien is thus co-founder, partner and advisor to Moderna and also an advisor to the company’s largest investor, AstraZeneca. Supposedly, this is the reason why Kenneth Chien today sits on a unit financed by AstraZeneca as the result of an agreement signed in June 2013 by KI and the company [document here, -LS]. According to this deal, initially valid for five years, AstraZeneca invests up to 20 million USD per year in what is called the Integrated Cardio Metabolic Center or ICMC [agreements between Astrazeneca and ICMC here and here,-LS]. It consists of nine research groups of which Chien’s is by far the largest both in terms of the number of members and available resources. In addition to the basic resources available there, he received two project grants from AstraZeneca, each worth 2.114 million USD per year. For the three-year period 2014-2016, he was additionally given 25 million SEK (about 2.8 million USD) from the Knut and Alice Wallenberg Foundation, one of the major shareholders of AstraZeneca. Only these two grants provide an economic framework of a magnitude that most biomedical researchers in Sweden cannot even dream totalling 5 million USD per year. And although ICMC is part of the state university KI, the research carried out there is not possible to gain insight into. When I asked KI to see the contracts Chien and other group leaders at ICMC had signed with AstraZeneca, the entire research programs were classified as secret, even the project titles. After calling this into question, I received a list with the project titles but nothing more. One may wonder if ICMC is really part of a public university and not an integral part of the pharmaceutical company AstraZeneca? The Swedish postdoc of Chien at Harvard also came to get a piece of the pie from AstraZeneca. In August 2013, he received a position as “Research Assistant Professor in Developmental Cardiovascular Medicine and Stem Cell Biology” based at ICMC (with generous operating funds from AstraZeneca). The name of the position closely agrees with the work he had done together with Chien. Two other candidates also applied but no written assessment of these has been possible to obtain. The only information I obtained from KI was that they were not considered competent for the job. There was, however, a statement about the Swedish postdoc by the German professor Karl Laugwitz, who concludes by saying that the applicant is an ideal candidate for the position. Notably, Karl Laugwitz is a collaborator of Kenneth Chien, and according to PubMed they have together published six scientific papers, the latest from the same year that the statement was written, i.e. 2013. When it comes to big corporations that KI collaborates with, it is not just AstraZeneca which Kenneth Chien has a close relationship to. This applies even more to Moderna Therapeutics where Chien is co-founder, part-owner and advisor. And this ties the story together since AstraZeneca is a major funder of Moderna (see above). In June 2014, the KI President Anders Hamsten – who resigned after the Macchiarini affair – signed an agreement with Moderna initially valid for five years (ref 5-50/2014). What stands in this deal is that Moderna will finance selected projects with up to 200,000 USD per project and that KI will host the research. A few months later, KI appointed three members of the joint steering committee that would lead the cooperation. The one who became Chairman of this group was Urban Lendahl, a close partner to Kenneth Chien. Already in February 2014, Moderna had also signed an agreement with the Karolinska University Hospital and its Innovation Centre (ref K3252-2014, [call for research proposals here,- LS]). When I in 2015 asked to see the project agreements concluded between Moderna on one side and KI and KUH on the other side, all projects descriptions – including titles – were confidential and overlaid in black. In addition to the huge sums spent on Kenneth Chien by AstraZeneca and the Wallenberg Foundation, multimillion investments in his work have also been made by taxpayers, both directly from KI and from the Swedish Research Council. According to a compilation I have received from KI, they have given him 46 million SEK (about 5 million USD) for the five-year period 2013-2017: 9 million SEK from the Department of Medicine; 6.5 million SEK from the Department of Cell and Molecular Biology; 20.5 million SEK from StratRegen (a part of the Government’s investment in strategic research areas – until recently headed by Urban Lendahl); 5 million SEK from the Research Board at KI; and 5 million SEK from the President of KI. Overall, this makes about 1 million USD per year (Table 1). Table 1. Grants awarded to Kenneth Chien up to today. And despite this almost unparalleled financial commitment to a single researcher, the Swedish Research Council (Vetenskapsrådet, VR) in 2014 assigned him a ten-year grant of 50 million SEK (about 5.5 million USD) within the VR professor program (5 million SEK per year). In addition, Kenneth Chien together with Urban Lendahl and a number of Chinese scientists received an allocation of 25 million SEK (about 2.8 million USD) for the five-year period 2014-2018 for cooperation in the field of regenerative medicine between KI, China and Hong Kong. If one adds up what has been spent on Kenneth Chien and his group from tax revenue by KI and VR from 2013 and onwards, the sum is 120 million SEK (about 13 million USD). And this is in addition to the huge investments made in parallel from Chien’s business partner AstraZeneca and the company’s large shareholder, the Wallenberg Foundation. It is also striking that Chien does not have to give any economic and scientific account of the large grants from VR than until after eleven years (the ten-year grant) and six years (the five-year grant). According to KI’s website Kenneth Chien’s group has 21 members. To see how his research at KI has developed, I used PubMed to see what he has published during the last two years, 2015 and 2016, the first two years when the VR grants could be expected to have contributed to the group’s work. So in two years, four articles were printed: two original articles, one review article, and one discussion post. Moreover, the results presented in the original articles largely originated from laboratories outside of KI. The number of articles a researcher publishes is certainly not the most central issue, but in relation to existing resources this must be considered as a disappointing production. The enormous support of KI for Kenneth Chien could possibly be due to something that is already implied between the lines in the correspondence between him and President Harriet Wallberg from 2012 [emails here, -LS]. Although he was born in the United States, he had well-established contacts with China and Hong Kong. Chuen Yan Leung, one of the researchers in his group, is also the son of Hong Kong’s chief minister, CY Leung. As already mentioned, Kenneth Chien and Urban Lendahl in 2014 received a 25 million SEK grant from the VR for cooperation with China and Hong Kong. Already at that time, discussions had also started about a large private donation to KI from Hong Kong. For this purpose, Chien travelled to Hong Kong for negotiations, first together with Urban Lendahl and later with President Anders Hamsten. The result was a donation that was signed January 12, 2015 by Hamsten and the donor Ming Wai Lau (Figure 3). This was announced in a press release and was widely noticed in press and media around the world. The donation was 50 million USD and one of the largest in the history of KI. It was intended to support research in the field of regenerative medicine and as part of that KI should set up and run the Ming Wai Lau Center for Regenerative Medicine in Hong Kong, an assignment in which Chien was to play an important role. Lau was CEO and chairman of Chinese Estates Holdings Ltd, but was then succeeded by his son Ming Wai Lau. The reason was that the father had been sentenced to more than five years in prison for corruption and money laundering by a court in Macau. The son had for many years acted in high positions in the family business and can hardly have been unaware of what was going on. Since no extradition treaty exists between Hong Kong and Macau, the now 65-year-old Joseph Lau will not have to go to prison as long as he does not travel to Macau. Further details about the business of father and son Lau emerged when the so-called Panama documents were published in April 2016. It was then disclosed that Ming Wai Lau and Joseph Lau were partners in a number of companies registered in the British Virgin Islands, a well-known tax haven. The aim of the companies – with names like Luxe Power Ltd, Jade De Luxe Ltd, Bingo Power Ltd, Billion Land Ltd, Pearl Kingdom Ltd, et cetera – is perhaps not difficult to guess. “The issues covered by the request do not constitute issues that the Government must try. An authority is responsible for ensuring that its activities, such as an establishment, are conducted in accordance with applicable regulations and decisions. No further action on the request is taken by the Government”. But KI didn’t have the patience to wait until this decision was taken. Already in December 2015 they went out with an advertisement to announce a number of research positions at the Hong Kong center (ref 2-4508/2015, application deadline March 20, 2016). To sum up, what has been reported here raises several questions regarding KI’s recruitment of Kenneth Chien, the rain of tax payer money, and KI’s collaboration with AstraZeneca and Moderna Therapeutics, two companies with very close links to Chien. Clear parallels exist to the recruitment of Paolo Macchiarini, strongly criticized in the audit carried out under the leadership of Sten Heckscher. As in this case, and as far as I have been able to find, no written references were taken during the recruitment of Kenneth Chien, for example, from Harvard University. Had this been done, one could perhaps have become aware of the financial, compatibility and ethical problems that had occurred there. Likewise, no expert statements were requested. Thus, the only official control of Chien’s merits was that the chairman of the recruitment committee, Professor Magnus Ingelman-Sundberg, checked Chien’s CV and in a decision from November 12, 2012 concluded that he fulfilled the prerequisites for a professorship (ref 6978/12-221). Notably, Ingelman-Sundberg’s statement came only after Harriet Wallberg on November 5, 2012 had written to Chien and offered him a professorship in Cardiovascular Research at KI and that he the next day had written back and accepted the offer and the conditions given [original documents here and here, -LS]. As described above, both KI and VR are state authorities that have supported Kenneth Chien with grants of unusual size. And this took place at the same time as he received even bigger resources from Astra Zeneca and the Wallenberg Foundation. In this context it should again be noted that AstraZeneca is partner and main sponsor of Moderna Therapeutics, a company Chien co-founded and where he is a part-owner. As a Swedish taxpayer, I cannot feel anything but outrage over this spending of tax revenue. What is particularly serious is that while huge sums are spent on individual researchers, there are many other qualified researchers who do not receive any financial support at all from VR. Moreover, the trend seen in recent years with very large grants to a few groups lacks support in existing research. In medical treatment the actions taken are supposed to be based on available evidence. The same should of course be the case when state authorities like KI and VR distribute tax revenue for research. To give just one example of the research available in this area, I will quote the recent report of Jon R Lorsch, director of the National Institute of Medical Sciences in the US (Molecular Biology of the Cell, 26, 1578- 1582, 2015). What he asked was how to maximize the return from the investment taxpayers made in basic biomedical research. The statistical results presented showed that with increasing funding for a research team leader, the number of articles generated from the group and the average impact factor (citation frequency) of the journals in which they published only slightly increased. Above a certain budget limit, 750,000 USD per year, the productivity instead began to fall. A possible reason for this could be that the bigger a group becomes, the harder it will be for its manager to keep in contact with the constituent members and to lead the work. Similar results have been obtained in other countries, including Canada and Great Britain. How should one with this background judge the ventures made by the Swedish state authorities KI and VR that have contributed more than 2 million USD per year to Kenneth Chien for at least a five-year period, at the same time as he receives more than 5 million USD per year from AstraZeneca and its large shareholder, the Wallenberg Foundation. This gives a total annual budget of more than 7 million USD. The only reasonable conclusion is that KI and VR need to seriously reconsider their funding strategy. KI has an extensive collaboration with the large companies AstraZeneca and Moderna Therapeutics. These two also have a very close mutual relationship in the way that AstraZeneca is a major funder of Moderna. The transparency of the activities of these two companies at KI is minimal since the research contracts they have with individual group leaders are confidential. The question that has to be asked is how far a state university should go to support the product development of private companies? From the master agreements KI has signed with AstraZeneca and Moderna [here and here, -LS] it is clear that this is what it is all about. Since large companies seldom engage in unconditional charity, this is no surprise. ”Major emphasis will be placed on the identification and evaluation of novel targets and therapeutics with a particular focus on addressing the relevance of targets in human disease”. Moderna Therapeutics is a much smaller and younger company. Nevertheless, they have rapidly managed to get a substantial cash position of more than 1 billion USD, of which AstraZeneca has contributed a significant part. The company’s business concept is, as its name suggests, to use modified RNA to control cell protein synthesis in order to cure or prevent pathological conditions. The technique used is based on discoveries made by some of the company’s founders, including Kenneth Chien. Recently, however, questions regarding the status of the company has started to appear in the press, focusing on things like a CEO with an excessive ego, risky strategy, poor working conditions, high turnover of senior management, and excessive secrecy around the business, possibly indicating problems in ongoing projects. ”Moderna has developed technology useful for the discovery, development, manufacture, characterization or use of therapeutic products that function using mRNA, and has an interest in supporting and collaborating with top academic centres with the aim to find new disease therapeutic options using Moderna’s mRNA technology”. Exactly what studies the company has decided to support deals with is unknown since both titles and research programs in the project agreements with KI as well as KUH have been classified in their entirety. In the US there is a debate about “research in the private interest” versus “research in the public interest.” Roughly speaking, these two concepts represent research with and without direct financial profit. The American sociologist Robert Merton formulated in the 1930s a number of benchmarks for academic research. One is that the knowledge generated will be owned jointly by all and be freely available (public knowledge). Another is that the collection and interpretation of results shall be made without side glances toward such things as personal interests in the form of honour, income or ideology. The goal should be to seek new knowledge out of curiosity (disinterestedness), commonly called free research. Business and industry research is different in nature with profit-determined selection of issues and a high degree of secrecy. What concerns many, not only in Sweden, is that for decades research in universities has increasingly begun to adopt a character similar to that in industry. To a large extent, this process has been politically driven in the hope that it is possible to order results that can solve social problems and generate jobs. As part of this trend, we have seen how universities with political backing increasingly have begun to patent their results, form companies of their own, et cetera. From a historical perspective, however, the discoveries that have most dramatically contributed to improving human conditions originate in free and not controlled research. As good examples, the following can be pointed out: the identification of insulin (1921); the discovery of penicillin (1928); the construction of the first electronic computer (1946); the production of polio vaccine (1955); and the development of recombinant DNA technology (1974). Arguably this trend where free research increasingly is displaced by applied research constitutes a threat that could ultimately have serious consequences. A better out-come is probably obtained if universities concentrate on their traditional role to create new knowledge by free and curiosity-driven research. The results so obtained can then be used by industry and business to what they do best, that is to develop new products and thereby create jobs. Update 24.03.2017. In recognition of the grandiose and awe-inspiring publishing output presented above, Chien was now awarded the most prestigious EU funding: ERC Advanced Grant of up to €2.5 Million, for 5 years. I can concur from what I have been told by other sources that KC leaving Harvard was because of “economic mismanagement as well as ethical and compatibility problems”. People don’t voluntarily leave Harvard. KC’s publication record is full of countless Nature papers; however, the legitimacy of some of the work has been questioned. KC has/had direct relationships with editors of many Nature journals. KI had every indication to conclude that KC would produce numerous Nature papers for them as well. I don’t think anyone can fault KI for recruiting KC back in 2012. Harvard wasn’t sharing their findings with the public. The lack of Nature papers since arriving at KI may have a lot to do with KC’s fallout from Harvard. I am sure some of the editors at the Nature Publishing Group know what happened at Harvard, people talk. KC most likely no longer has the direct pipeline to NPG that he once had. The connection between universities and private industry will always be difficult to manage. I think this is something that the politicians, taxpayers and voters in Sweden will have to decide how to manage. The only way to properly manage the relationship is with transparency. We should thank Mr. Thyberg for bring this situation into the light. The lack of Nature papers since arriving at KI might have one more explanation. Do you think that Chien was actually making his papers for Nature in Harvard? I bet he had some other guys who did research while he was searching for funding and these guy did not followed him to Sweden. It is now almost normal now that some hidden to outsider researchers design and complete projects while their professor get all credits to his name. I know several guys who work as “research [slaves, -LS] ” and never get their names as first or corresponding authors on papers made under their supervision and using their own ideas. I don’t know enough about KC’s former lab to have an opinion. As you mentioned, there is a problem when PIs do this over and over again. It is even a greater problem with the senior scientist is tied to the PI by a work visa (work for me or I will ship you home) effectively turning them into a slave. This is a big problem, particularly in the US where post docs are not protected. There are many of the same people that handled the Macchiarini recruitment that also recruited Ken Chien. The fact that he was fired was not mentioned in the original story by the guest author and/or blog author. If this is in fact true, it would have made the whole story a lot stronger than it actually turned out being, which is basically a complaint about funding and employment practices in academic science as well as questionable partnerships in industry. Not that these aren’t important issues to be addressed, but I need some meat on my scandal reading du jour (hopefully including lots of manipulated gels, or inappropriate firings) with my morning coffee. Hopefully our reporter can follow up on this if he’s not sitting in a German jail without internet due to the whole Jungbluth lawsuit thing. I’ll go make myself a second cup. Still, I’m not assuming it’s true based on a blog comment and without conformation from the authors or other type of evidence. There is an argument that US universities exist not for social good nor for companies, but for the purpose of creating enormous amounts of student debt, so that investors can buy that debt. Since the debt cannot be discharged in bankruptcy, or even in death, the investors have a low-risk long-term stream of income. For sure, renowned American universities make a lot of money with visiting international PhD students and international postdocs with fellowships from their countries seeking publishing in high impact journals and coming back to their countries to get PI positions, etc. You are correct blatnoi. The sentence should be rephrased to “The knowledge that Ken had forced away from Harvard was already at KI at the time of the recruitment.”. Maybe LS can do this.